This week in Project Management Headlines is a collection of the most interesting articles and stories related to Project Management over the past week. Each round-up follows a theme, and this week’s theme involves no-fail approaches to Project Management. The following five articles round out this week’s news and theories on how to master your next project. This article explains how project managers need to be emotionally strong and stable in order to practice resilience in times of stress throughout each project. Because of the stressful nature of the project manager role, Leitch explains that those who are inherently able to cope with stress easily by focusing on the positives are more successful, even if a project has gone off the tracks. After survey results showed IT professionals find many IT projects to be low on the value scale, Feldman suggests a need for bilingual project managers. Bilingual in a sense that they speak business and IT language fluently and understand both sides. This is because many PMs don’t involve IT early enough in the process, causing a rift in expectations verses reality. 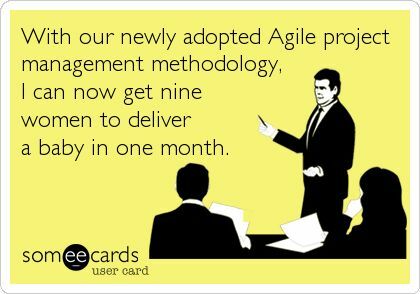 He further explains how a more agile approach to project management solves this problem. Like the saying “You don’t know what you don’t know,” this article dives into they way communication can be a project manager’s best friend when the client has a change of plans or, much more common, realizes that what they wanted isn’t exactly what they meant to want. Just knowing that this type of scope-creep is highly likely before a project is started will keep a PM aware and keep the communication strong to prevent any big surprises at the end. Really, this article talks about one big project management problem, misreporting, and all the different reasons why misreporting occurs. In some cases the PM has a uber-positive outlook on the project, and in others the execs themselves just don’t want to hear the bad news. Either way misreporting can be a real detriment to a project’s success and could effect future projects from there-out. A company is better to learn from failure than to be duped by false accounts. Read on to learn how to avoid misreporting in your next project. Being strapped for time and resources is pretty much the norm for many project managers out there. Knowing how to leverage these constraints is a blessing, and this article gives some good direction.